I recently paid my first visit to Mont Rochelle Nature Reserve to run the inaugural Trail du Mont Rochelle. 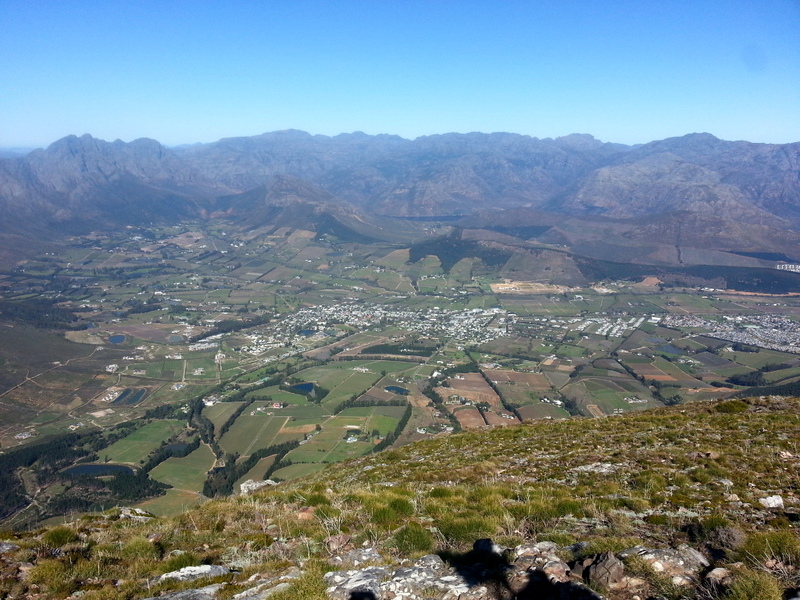 This nature reserve is nestled in the mountains above Franschhoek. In the 180° panorama below you can see Theewaterskloof Dam in the distance on the left with Wemmershoek Dam on the right, separated by Du Toitskop Peak.